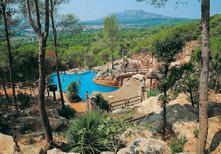 Holiday home for 20 people, which has been furnished in a modern way and has a large pool and a horse stable. ​Costa Brava | Here we'll show you the accommodation at the Costa Brava, which has received the best reviews from our customers. ​Roses | The picturesque coastal resort on the northern edge of the bay which shares its name has obtained the best customer reviews from you, and is this year’s best Spanish holiday resort. Read more in our blog! 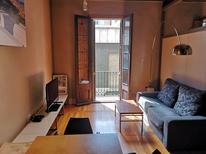 Apartment with a sea view for up to six people in San Feliu de Guixols. Costa Brava | "Vamos a la playa" is the holiday motto here. 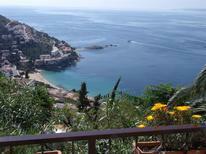 The beaches of the Costa Brava can be reached on foot from these holiday homes and apartments. A holiday house at the Costa Brava costs on average GBP 909 in the cheap travel period and GBP 1,569 in the peak season per week. These details are of course in relation to the house and not per person as well as includes the obligatory additional charges. 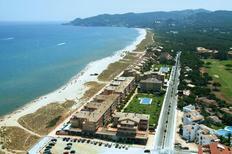 The coast lines of Costa Brava and Costa Blanca very much entice with their great diversity and numerous beaches. A holiday house at the sea in Spain or a holiday apartment with sea view in one of the well known coastal regions is an attractive preposition for families, couples as well as adolescents and children. 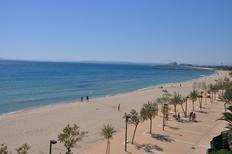 In Spain you are able to find everything for a wonderful beach vacation. Costa Brava, otherwise called the Wild Coast, is the place to go in Spain for an exciting adventure filled vacation. Based out of holiday homes visitors can take full advantage of the beaches and other activities the Costa Brava has to offer. A Costa Brava vacation in a holiday home is a fun way to explore the night life, Spanish villages and coastline that make Costa Brava unique. 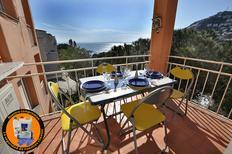 Holiday houses at the Costa Brava are easy to book and rent . The 'Wild Coast' is truly a unique place to have an excitement filled holiday with all from the comfort of holiday rentals. The coastline has many golden beaches with great swimming and boating but the many coves and hidden nooks make Costa Brava's landscape some of the most picturesque in the Mediterranean. Visitors can spend their days tanning on the beach, swimming in the sea and exploring the coastline before returning to the comfort of their holiday apartments. The Wild Coast not only gets its name from its geography but also for the crazy night life and parties along the Costa Brava. There is also plenty of time to relax at holiday houses, on the beach or at one of the charming Spanish villages. Costa Brava is also fast becoming a popular destination for golfers as there are many quality golf courses a stone's throw away from holiday apartments. Costa Brava is also home to several historical sites including monasteries at Montserrat and Salvador Dali's home at Figueres. Between the Mediterranean beaches, fun parties and relaxing in the sun at holiday rentals a Costa Brava vacation is sure to be a holiday a bit out of the ordinary.